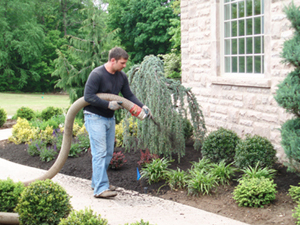 In the Landscape, Mulch blown installation provides a "finished" look to the project. Best mulch to use is organic bark mulch. The more natural the ingredients in the mulch the better it is for the plant materials living in that garden. Lots and lots of comments on the shopping plaza mulch looking most colorful throughout the season. Our experience has it that the more colorful the mulch, the more harm it does to the plants. It is best to use the local nurseries and garden centers for choosing mulching materials as these people plant in it everyday. Tired of wheel barrowing mulch around? Use a Mulch blower. Mulch blown installation is ideal for those hard to reach places, hillsides and delicate perennial beds. The blower has grinder wheels at the base that fluffs up the mulch as it goes through the hoses and lands onto the beds. Your choice of mulches can be Bark mulch, Spruce mix, Cedar, hemlock and playchips. 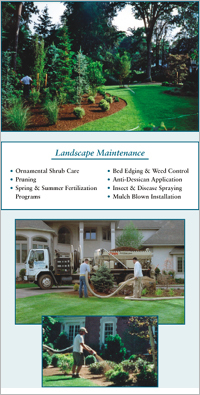 Use Preferred Properties Professional for your next mulching job. 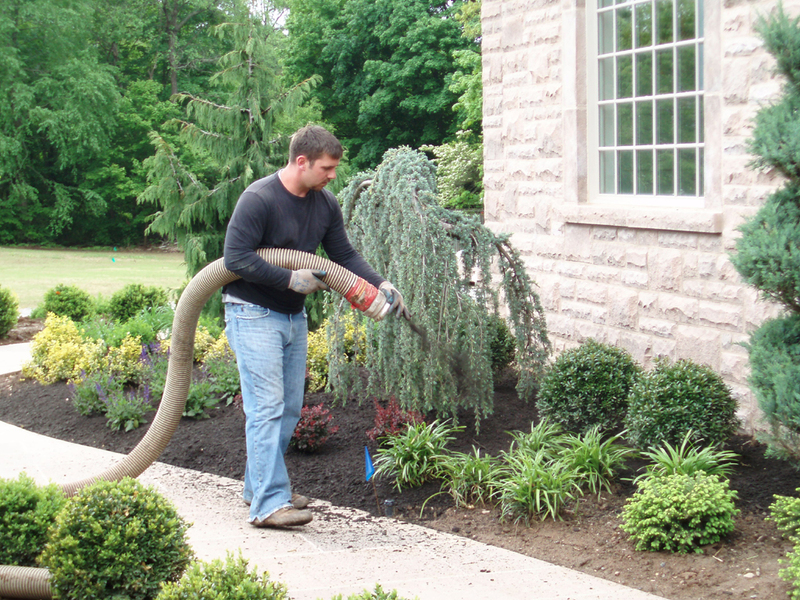 See our Mulch Blower in action!